The Flow 2 curved stairlift has achieved many prestigious industry awards for its design and innovation. Installed within a few hours, the Flow 2 is your answer to years of freedom and extended quality of life. We believe our customers deserve the best but without having to pay a premium for it. 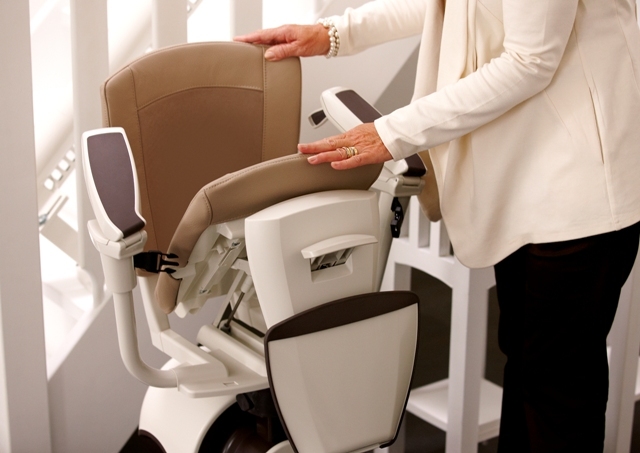 The Flow 2 with its patented auto swivel technology is the number 1 stairlift in terms of quality and value for money. 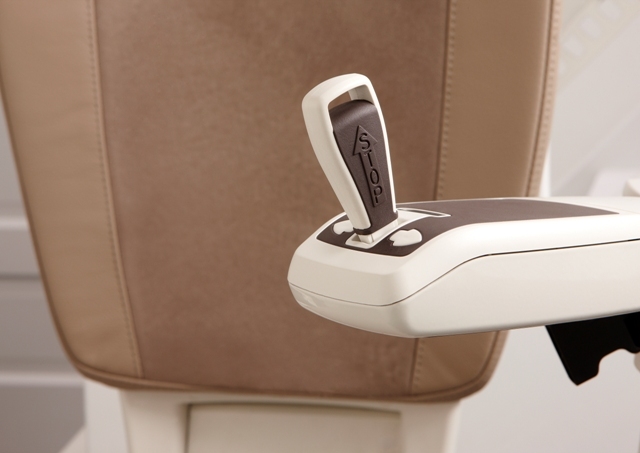 Curved arm rest option for added safety and peace of mind. Designed with you in mind. We offer a wide range of colors and seat fabrics but also recognize the rail color is important because we aim to supply a stair lift with your home in mind. Height adjustable seat. 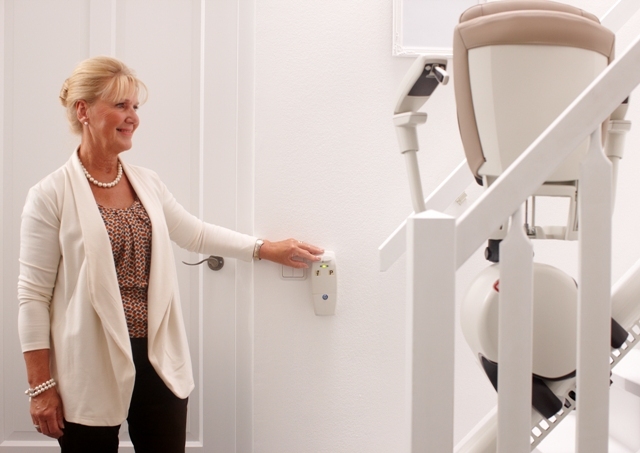 For improved comfort and to help you get on and off the chair safely, your stairlift will be adjusted to your height when it is installed. Getting on and off. It is important you are able to get on and off the chair as safely as possible. 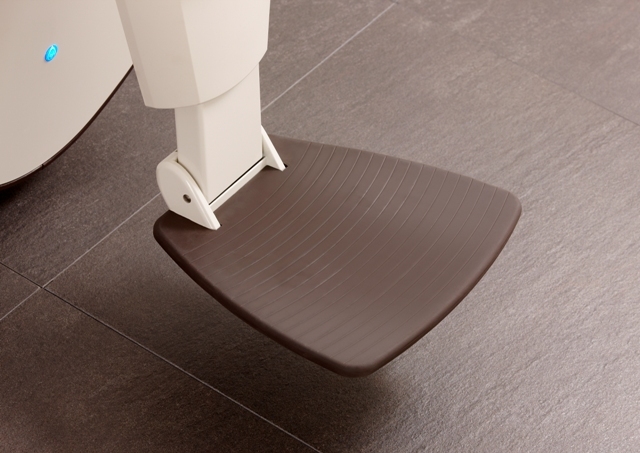 The swivel option whether it be powered or manual can turn you to face the landing or bottom of the stairs for easy access. 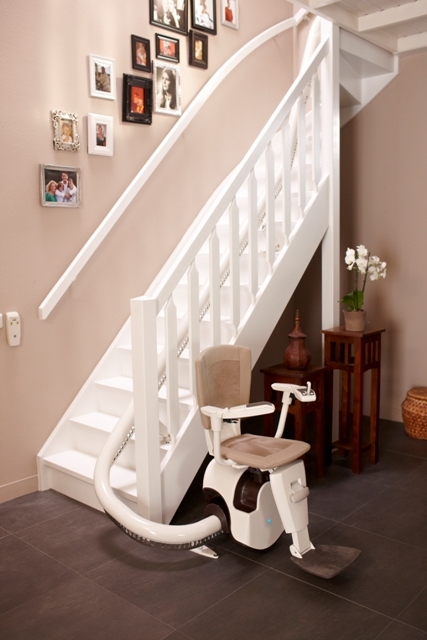 Fitted to the stairs .All ThyssenKrupp stair lifts are fitted to the staircase and not to the wall, this allows for a quick and easy installation and ensures minimal disruption to your home. Unique railing system –The single tube design provides for a low profile, sturdy installation which is aesthetically pleasing and available in a range of colors to match your home decor. 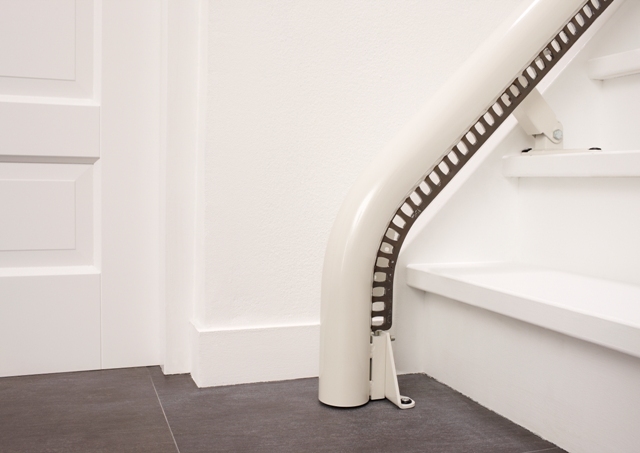 Even the most demanding applications such as spiral staircases can be accommodated with this innovative tubing design. Unique drop nose As part of our design and manufacturing excellence we can offer a unique drop nose so that people with limited space at the bottom of your stairs can still enjoy the freedom a stairlift provides. It can also save you hundreds of dollars as you do not need to purchase a powered hinge. Discreet design. 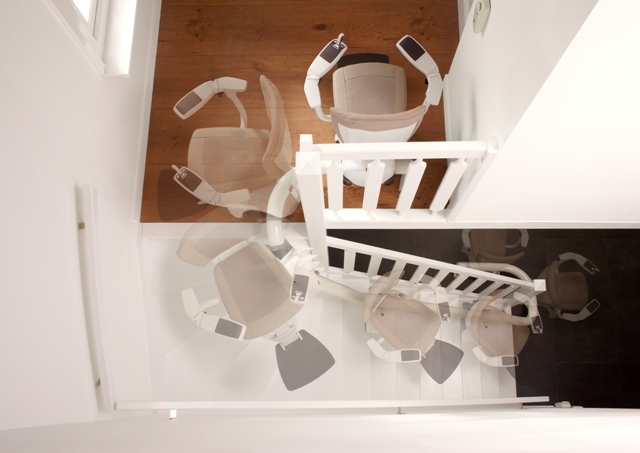 Designing and manufacturing Stairlifts with our customers in mind, the Flow 2 can be installed to keep your hallway and stairs free from being obstructed. 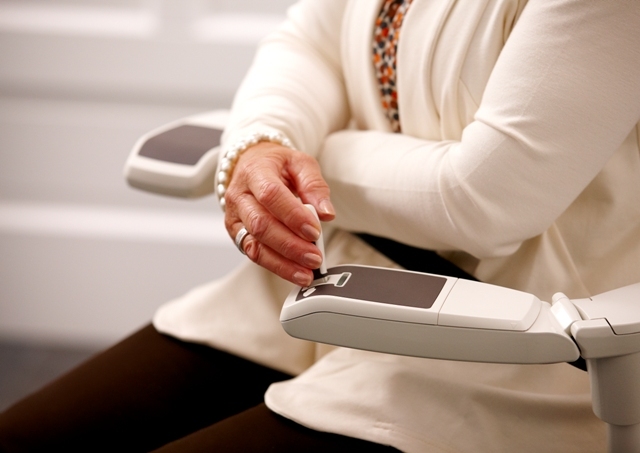 The seat, arms and footrest of the Flow 2 can be folded neatly away when not in use. Very few floor brackets required so less obtrusive to your stairway and adds to the aesthetic finish of the installation. Typical competitor products will require floor posts on every second step.